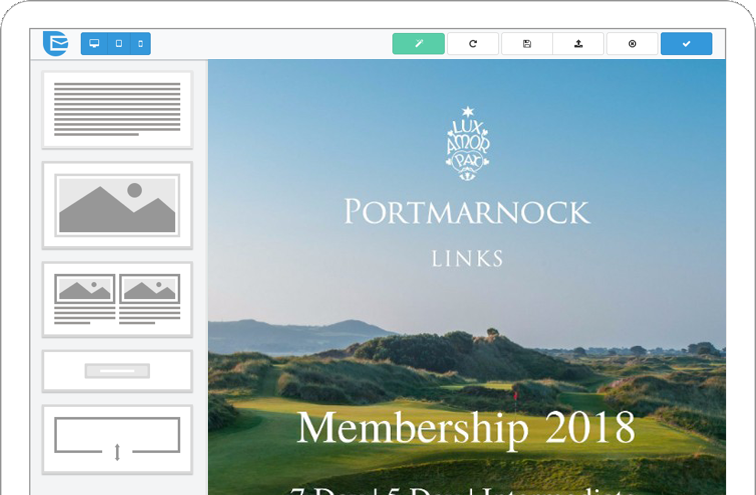 ClubNet marketing campaign design tools are easy to use and enable golf clubs to create emails that continually improve sales performance. ClubNet Marketing empowers golf clubs to build and grow relationships through marketing campaigns. Our platform combines a robust suite of email messaging services within a single, user-friendly solution.